Happy Fri-day! (pun intended, I’m so sorry). What I’m not sorry about are these parsnip fries – they’re awesome and super simple to make. 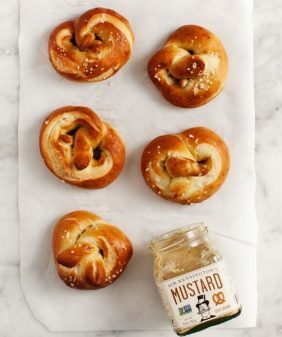 I recommend making extra because you (or your significant other – I’m not naming any names here), will likely eat most of them right off the baking sheet, and you’re going to want a few left to enjoy with your burger. Not only are these parsnip fries healthier than traditional fries (they have much more fiber), but they have a unique flavor. If you’ve cooked with parsnips before, you know that they’re slightly sweet. As a result, these crispy fries have a fantastic sweet & salty taste that makes them totally addictive. I like to serve my fries with ketchup, mayo, or chipotle sauce for dipping. For fry variety, try these sweet potato fries, too. Let me know what you think in the comments, and enjoy! 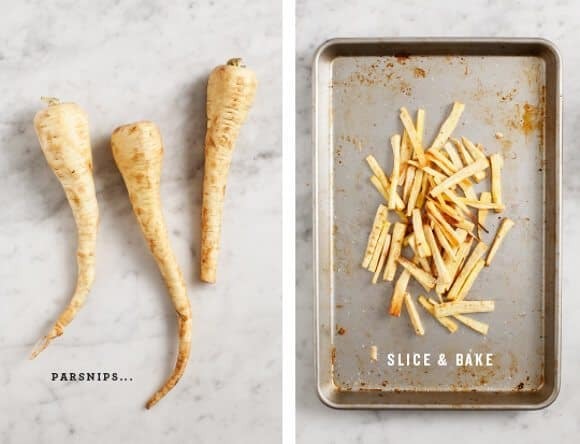 Scrub your parsnips clean and lightly peel them (you don't have to peel them if yours are really clean). Slice into thin strips. Bake 15-25 minutes, or until golden brown, flipping halfway. Remove from oven and serve immediately. These are best hot. This post is sponsored by Sir Kensington’s. All opinions are our own, it’s delicious stuff. Ketchup is best the original way… on fries, of course! I love ketcup, period. My most unusual use of it is in my 14 ingredient phad thai sauce. Mayo is a fav of mine to make – either with garlic and lemon or malt vinegar. I use it in a lot of different ways…but grilling salmon with it is one of the best ways I know of to enhance our favorite fish in Seattle! p.s. I just started following your site and have made three dishes from it so far… not bad for 10 days! Thank you for the beautiful photos, clear instruction, and nom nom recipes! Thanks Janyce – ha, no not bad for 10 days :). Glad you’ve been enjoying them! Ever since I was a kid, I’ve loved Ketchup. My grandpa told me Ketchup should be my middle name. I love dipping a classic grilled cheese in Ketchup (it’s like grilled cheese and potato soup). For mayo, I like making an aioli to put on potatoes. My favorite is roasted sweet potato fries dipped in a garlic basil aioli. Mmm! Ever since I was a kid, I’ve loved Ketchup. My grandpa told me Ketchup should be my middle name. I love dipping a classic grilled cheese in Ketchup (it’s like grilled cheese and tomato soup). For mayo, I like making an aioli to put on potatoes. My favorite is roasted sweet potato fries dipped in a garlic basil aioli. Mmm! I love ketchup!! I love it with veggie burgers, well done fries, sweet potato fries, beer batter onion rings, mixed with bbq sauce to dip my veggie buffalo wings in, Mixed with mustard on veggie dogs. All growing up I heard “Would you like fries with your ketchup?” It’s pretty much my favorite condiment. Love spicy ketchup in sandwiches and love Chipotle mayo on a hotdog .. yumm!! I like to add curry powder to my ketchup. It is so good! I love mayo with artichokes. I cut them in half and hollow out the choke. I fill with a mayo dip made with lemon juice and dill, or ground sundries tomatoes and roasted garlic. I mix ketchup with sweet chili sauce or roasted garlic for burgers or roasted potatoes. I love any mayo-based dip for fries! Especially wasabi mayo! Ketchup – definitely on fries, or in a great homemade bbq sauce! Mayo – this may be throwback, but a little bit mixed with tuna, lime juice, diced red onion, dill, and salt and pepper makes the best classic tuna sandwich in my book! Ketchup mixed with mayo for a yummy fry sauce – the best of both worlds! Ketchup and mayo TOGETHER is the way to go! I love mayo alone with some garlic powder, paprika, etc. to make my own Japanese yum-yum (white) sauce for homemade sushi too. As a fry addict, I’m definitely going to have to try these soon! I have to agree with the crowd; ketchup and mayo are the best way to enjoy fries. Although you’ll find them on my table for plenty of other food combos. I love mayo on fries, and ketchup with my hash browns! Condiments are a potato’s best friend. Ketchup is wonderful on any type of fries whether it be sweet potato, truffle, or regular. A good dijon or brown spicy mustard is wonderful on a good burger or fries as well. I also like it on a good veggie patty or some roasted cauliflower and broccoli. I love ketchup on scrambled eggs! Ketchup on my sweet potato fries & mayo on my sardine sandwiches. Would love to spice those up, yum! I love ketchup on anything we could possibly call a burger. I am fond of British/kiwi style ketchup’s that are less sweet and more sour. Ketchup mixed with mayo – best thing to dip fries in EVER. i love mayo in slaw!! Super yum! Let’s be honest, fries are just a vehicle for sauce 🙂 This parsnip variety looks excellent. We got into Sir Kensington’s ketchup a few months ago and haven’t looked back (it’s irresistible on a good french fry) but the rest of the line isn’t sold at our favorite grocery store–I’m certain all the flavors would be divine! Fantastic to hear. What is your favorite grocery store? We can work on helping them offer the rest of the products. I absolutely love mayo with a little sriracha and lime mixed in as a delicious dipping sauce/aioli for shrimp, veggies, or whatever floats your boat! I love my mayo with some sriracha swirled in, so chipotle mayo sounds delightful! An essential companion to shoestring fries, tater tots, roasted potatoes, et al. I have only recently accepted ketchup into my life after having some all natural ketchup for the first time! My favorite way to enjoy ketchup is on a burger or on waffle fries. Belgian style – both mixed together with fries! loove ketchup on my eggs! There is nothing better than ketchup with fries. Growing up, I was always so excited when my mom was making burgers for dinner because that meant homemade sweet potato fries. Also, my dad and I love ketchup on our scrambled eggs! (My mom always shakes her head in disgrace when we top our eggs with the sauce). As for mayo.. it’s always a great ingredient to put into cakes! Creates so much moisture and makes a cake so delish! So excited about this giveaway! The packaging is to die for. Ketchup & eggs are my favorite combo! Ketchup on a quality veggie burger, mayo on fries – at least, lately! Mayonnaise goes great on our homemade kimchi poutine. I enjoy a ketchup and mayo combo for my fries. Sometimes I add in mustard or horseradish… After reading some of the earlier comments, I may have to try mayo alone on fries. I usually don’t like ketchup – but I was inspired by your note yesterday that Jack hates ketchup but loved this stuff! My husband would be so proud of me if I started to eat ketchup regularly 😉 Plus, that chipotle mayo looks like it probably tastes like unicorn tears so I’m dying to try that. I love mixing ketchup with some curry powder and having it with sweet potato fries. Also, mixing mayo with some pesto makes a quick and easy spread for sandwiches! Oh my gosh- everything looks so good! I’m from the Midwest, so my favorite way to enjoy ketchup is every way 🙂 But I am particularly fond of gratuitous ketchup with hot and gooey grilled cheese. For me, it’s the ultimate comfort food. Dipped! That’s my favorite way. One of my good friends once said that food is a way to get dip into my mouth – I’d have to agree with her! Definitely going to try these fries! I’m very much a ketchup and fries girl. Favorite way to eat MAYO is IN warm spinach artichoke dip. ketchup a must on my hash! Ketchup cabbage rolls are one of my absolute favorite comfort foods. And my husband is loves a good mayo hollandaise over eggs! Ketchup w/hot sauce is a must for breakfast items like eggs and hashbrowns. I used to eat ketchup on everything imaginable but it is my favorite with fries or on eggs/omelettes/egg and cheese sandwiches! P.s. The chipotle mayo featured looks amazing and I would eat that on everything!!! I LOVE ketchup on veggie burgers and on roasted sweet potatoes! I’m so addicted to mayo it’s not even funny! I love dipping my fries in it of course, but a dollop of mayo on jasmine rice is sublime as well! Favorite ways to enjoy mayo… mixed with yellow-hotdog mustard for dipping fries, or mixed with wasabi for dipping artichokes. Ketchup is fun mixed with sriracha or BBQ sauce! It’s so cold & dreary now – I can’t help but fantasize about a thick slice of bread, toasted, with a yummy slather of mayo, topped with the most-perfect-just-picked-from-the-garden tomato & a bit of salt. YUM! I need it to be summer soon! Mayo. So much versatility with mayo. On a juicy hot dog!!! Oh, my favorite favorite is a trick I picked up from a great restaurant in Memphis – their burger comes with “secret sauce” which is just a combo of mayonnaise, mustard, and ketchup. There’s something about combining them directly that makes the burger (not to mention the fries) really sing! I’m one of those people who put ketchup on everything! I can’t help it…I love it! Especially over eggs and potatoes. Homemade mac & cheese with some ketchup added just before eating! Yum! I love ketchup on a baked potato (with cheddar cheese)! Fries for both! Ketchup on eggs, in stir-fries. Mayo for dipping artichokes! Mayo on a grilled turkey burger; grill the bun, too! I enjoy ketchup with carrot fries, but these parsnip fries look amazing! A burger is not a burger without ketchup! A perfectly toasted slice of good quality bread, a healthy slather of mayo, and thinly sliced perfect tomatoes…all topped with a bit of sea salt and tons of black pepper. So, so, so tasty! Umm. Yeah. I want to win this giveaway! The other day I tried something new to spice up my boring tuna packet snack… mayo with finely chopped wasabi nori, lime, and salt. YUM. As for ketchup, nothing is better than plain, bare naked ketchup with a piping hot plate of crispy fries! I like ketchup best on home fries, and of course fries. Your parsnip ones look fantastic. I’m a big fan of sweet potato fries too. Well, I personally think a burger and fries is the best meal on earth (accompanied by a cold beer even!) but this winter I’ve been all about a quick “aioli,” mixing flavors into mayo, for dipping brussel sprouts into. We enjoy ketchup primarily on grilled summer sandwiches, and on extra crispy fries. Thank you so much for hosting this giveaway. I like mixing mayo and ketchup for dipping fries! What a fantastic idea to use parsnips as french fries. Looks so good. I like mayo on lots of things. Thanks. Ketchup on sweet potao fries and mayo on sandwiches. I love chipotle mayo on fish tacos! We love ketchup on anything, always fries though. I love to blend mayonnaise and ketchup together with some hot pepper sauce as a dip for just about anything! When I was a kiddo, I loved ketchup on everything–rice, eggs, you name it. As an adult, I still love it, but now on more traditional items like burgers and fries. My favorite way to eat mayo is spread thickly over wheat bread in a tomato sandwich. sriracha mayo + ketchup on a spicy veggie burger. and of course plenty of ketchup for the fries! Sorry to be traditional, but fries are the way to go. I love ketchup on homemade fries… It’s the best! As a mini meatloaf topper with mustard and brown sugar- yum! On french fries! A classic! I love ketchup! Absolutely love. I like it on my eggs and with a hearty plate of bacon! And french fries! Can’t have fries without ketchup! My favorite way to eat ketchup is with fries of any kind. I like (vegan) mayo on sandwiches mostly (tempeh bacon, sauerkraut, mayo is my favorite combo). On fries! Mayo + ketchup on burgers… yum. I love ketchup on black bean burgers with homemade fries! I love to mix some adobo into my mayo and use it on sweet potato fries, burgers, and sandwiches. SPF…..SWEET POTATO FRIES. Hands down my favorite ketchup sidekick. I’m a ketchup girl through and through; add a plate of fries and I am golden. My boyfriend doesn’t like my mayo but he can’t get enough of Sir K’s chipotle stuff! Me: mayo and blt’s are the most amazing thing ever, otherwise, it’s best used sparingly. Husband: mayo makes everything the best thing ever. Our ketchup views are similarly opposite. I’m so excited about this recipe! I’ve been on the lookout for new ways to use parsnip and I this sounds delicious. I’ll probably make this next week! Thank you for your ever inspiring posts. Ketchup is best eaten in the way it was originally intended – on fries! (preferably sweet potato, but I am willing to give parsnips a try!) And I love using mayo to make a garlic-lemon aioli – YUM. Are there any stores in Chicago that sell Sir Kensington’s? I love both drenching my Fries! Thanks for such a great giveaway! Love your site! Best way is FRY SAUCE, dipping fries in a mixture of mayo and ketchup…nothing better. Ketchup on fries and on a veggie burger for sure! ketchup and mayo mixed together with tots! I love ketchup mixed with sriracha for fries. I grew up disliking mayonnaise, but have since grown to love it. I mean, aioli! Homemade ranch dressing! Coleslaw! The possibilities are endless. Ooh pick me pick me! I love ketchup on everything, especially breakfast potatoes, french fries and burgers! I like to make jalapeno refried black beans to stuff inside pupusas, and I always add a dollop of mayo to my black beans. For ketchup, definitely on tofu scramble or on a baked potato! Fries, fries, fries! I also love ketchup on potato chips. I’m partial to spicy mayo on my sweet potato fries. I would love to try all of these condiments! Ketchup is my favorite but I love putting both ketchup and mayo on my veggie burgers. And I can’t wait to try the parsnips! Deviled eggs! They are my weakness. I feel like deviled eggs with the chipotle mayo would be amazing. a good smear of mayo for a tasty BLT sando!! ketchup on freshly baked sweet potato fries! I mix mayo with sauerkraut and add to my grilled cheese sandwich-perfection! Can’t wait to try these fries. I love flavored mayo in my egg salad. Mix all and refrigerate for 30 minutes. Mayo is definitely best on a classic BLT. Fresh lettuce, fat tomato slices, and crispy bacon. Yummmmmmm. My favorite way to use a quality ketchup is atop a fabulous meatloaf! It’s not really a meatloaf without a fine ketchup topping. sriracha. ketchup. eggs. hash browns. Nothing better than homemade meatloaf with ketchup! Also love to dip artichoke leaves in mayonnaise with a touch of lemon and mustard! Delish!! I love to slather ketchup on burgers of any kind and then add extra for dipping the burger in so each mouthful is full of ketchup!! Also, sometimes I just like to dip spicy pickles in ketchup. It’s a salty overload, but so good! I love my mayo straight out of the jar but it’s great with fries too. I like ketchup on burgers with mayo of course. Even a piece of cheddar cheese is good with a bit of ketchup. I love ketchup with crispy hash browns. And all my sandwiches thrive on mayo. Grilled cheese dipped in ketchup, my ultimate comfort food! I mix mayo with sriracha and garlic and spread it on veggie burgers or dip French fries in it, but ketchup is always a staple for fries and burgers too!! I love good olive oil mayo when making macaroni salad. Thank you cant wait to make your parsnip fries they look great! Gotta go with the classic combos of ketchup with burgers, fries, and hot dogs. And I love mayo in potato salad or egg salad, and my husband and I like to combine mayo with fish sauce on our banh mi sandwiches! Never too many condiments! I can’t wait to try these fries, sold on sweet potato fries but love root veggies. Pick me! I love French fries and I love ketchup. I don’t eat mayo that often, but if I do it’s usually garlic mayo with sweet potato fries. I love ketchup on a lot of foods, sometimes I make ketchup sandwiches, but my favorite is on a blue cheese stuffed beef burger. Both on fries, burgers, sandwiches! Yum! Ever since I saw Sir Kensington’s Ketchup & Mayo on the Love and Lemons blog I have wanted to try it! I just moved to Indiana from Austin, TX and I’m dreading that we don’t have the epically large Whole Foods or their selection at our very small location here in South Bend. I can’t wait to try making these parsnip fries and maybe order some to use! 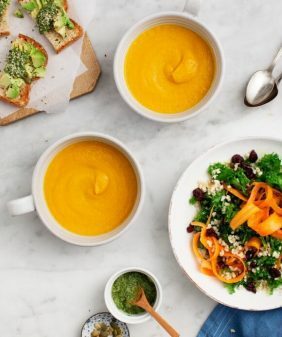 I think my favorite use for mayo is in different dips and dressings – a little bit always goes a long way and can be complimented by so many other great flavors! Garlic, lemon, cayenne, you name it! I love using it in a spinach & artichoke dip I make for parties. Ketchup is the best condiment, great on faux-meats, french fries, veggie burgers, or my favorite unhealthy breakfast, classic shredded potato hash browns! I can’t wait to try their spicy ketchup on my favorite breakfast! Thanks so much for your great blog posts, I’ve made a few recipes now and I think your cashew “ricotta” is the best I’ve come across yet! Happy cooking 🙂 …and eating! you’re so sweet thank you! Ha, I would be sad to leave our Whole Foods too :). My fave way to enjoy mayo is with sweet potato fries and a juicy burger. Mayo on everything. Ketchup on fries. Love them both! Ketchup on everything (except ice cream) is on the menu. Especially scrambled eggs! Any burger I eat leaves the plate looking like a massacre took place. I need ketchup and lots of it. Love my fries with mayo as well as ketchup. With fries, definitely and with omelet! I will try this fries tomorrow for my husband! I put mayonnaise on absolutely everything, even before I try my food. Fries and ketchup, that’s my favorite, like everyone else. If I want to pimp a piece of bread, there goes ketchup and mayo. Love them. I love to cheat and use prepared mayo to make Aioli. I love Aioli on many things but on Chicken in particular. I also love parsnips and can’t wait to try them as fries. Thanks for the great idea! Bread and mayonnaise. Eggs and mayonnaise. Meats and ketchup. Eggs and ketchup. Ketchup and mayonnaise mix together with sea food. Shall I continue? Gosh, now I am hungry. Thanks for this giveaway. Ketchup swirled with a little bit of sriracha, used as a dipping sauce for grilled cheese… mm, the best! This is my mom’s go-to bad day food, everything always seems a little better afterwards. It may be cliche, but ketchup and mayo on a bacon-cheese-jalepeno burger (preferably from Crown & Anchor off Dean Keaton) is SO the way to go. I love ketchup on homemade sweet potato fries! I prefer to mix my ketchup and mayo together with a hint of sirracha and use it on E.V.E.R.Y.T.H.I.N.G. Mayo on scrambled egg Sammie’s…. Yummy!!! Ketchup on veggie burgers on English muffins! mayo in deviled eggs! ketchup on your parsnip fries! i will drown mostly anything in ketchup; the only exception being McDonald’s hash browns. But mayo with a garlic chili sauce is the way to go for any dipping need! I love grilled chicken,cheese, avocado sandwich with mayo. It is scrumptious! love ketchup on eggs and fries; basically the usual. spicy mayo on chicken sandwiches and burgers! Ketchup, mayonnaise? Both of these are great with curry. I make a veggie dip with mayo and curry (it’s also good with fruit) that is to die for. I also mix curry into ketchup to serve with fries or eggs. So warming and fulfilling. Ketchup on veggie burgers is my fave! Oh my, Sir Kensington is so cute… it would be so happy to have him looking at me whenever I open my fridge! I’m a mayo on fries gal (chipotle – yum…), and the spicy ketchup would give me a great excuse to make a meatloaf. Fries. Sometimes mixed with some horseradish and a squeeze of lemon, but always fries. Delish! I am envisioning a unique but oh-so-homey meatloaf to use the ketchup in before this wintry season ends! And the mayo on a grilled chicken sandwich…. ohmeohmy, I can’t wait for summer! I like to make an aioli to dip grilled veggies or use on a sandwich. I like ketchup in barbecue sauce for baked beans or on a burger. Mayo on fries…yum yum! But also perfect on egg sandwiches! Omg! I just adore Sir Kensington’s ketchup! I don’t like ketchup normally but Sir Kensington’s is delicious. I usually fry up some crispy salt and pepper Dover sole fillets and dip them in it! My Mom used to make us a dipping sauce with our fish sticks- it was an even ratio of ketchup to mayo with dill weed sprinkled on top. I still use it to this day for my fish sticks (today as a matter of fact) and I’m always looking for ways to kick it up a notch! Lately I’ve jumped on the egg muffin bandwagon. They’re amazing! I make mine with spinach, carrots, and Morningstar Farms veggie sausage with ketchup on top of the finished baked product. A BLT is not complete without a generous slather of mayo. I mix up ketchup with a little mayo – perfect creamy dip for my buffalo wings. When I was in Jr High School, we would mix ketchup and mayo for fry dipping. I now prefer ketchup plain and even on veggies for a bit of extra umami zing. Ketchup is also good with a hint of Sriracha Mayo is good with a little lemon juice and dill mixed in. Ketchup must be on the table for my mom’s homemade macaroni and cheese! I also love mayo and cracked black pepper on a simple tomato sandwich. I use ketchup a lot less than I did as kid when I put it on everything from mashed potatoes, to rice, to beans. My favorite way to use it now is to mix it with brown sugar, Sriracha, and dry mustard as a meatloaf topping. I also love it on hot dogs (no mustard for me) and burgers. I love mayo. I use it instead of ketchup as dip for fries, although sometimes I mix the two together. I love all kinds of creamy mayo-dressed salads like macaroni and potato and mayonnaise-based dressings are my favorites for green salads. Currently, my favorite way to use it is to add chopped chipotles in adobo and fresh lime juice to make a sauce for fish tacos. I didn’t grow up eating ketchup or mayo but when I met my husband his love of ketchup and mayo with fries got me hooked. For office bbqs I sometimes make a slaw with chipotle mayo, lime and lots of red cabbage and veggies. I hope to try this brand soon! I love homemade sweet potato fries, fried potatoes and regular fries with fry sauce and/or salsa. I actually tried Sir Kensington’s the other day and it was great. Still love mixing mayonnaise and ketchup for hot dogs which my mom did for us when were kids. I LOVE ketchup on cottage cheese…I also like to mix ketchup, mayo and relish…with a few extras, to make burger sauce! I’m going to try the parsnip fries recipe later today – looks delicious! I actually enjoy making a combination of ketchup and mayo for my fries. Sometimes I add a little mustard to the mix too. I like to dip my veggie burgers in a mix of ketchup and mustard. The egg is the sole reason I could never be vegan. The egg has the widest repertoire of uses of any ingredient from merengue to custards, from omelets to soufflés. The egg is amazingly transformative, but i digress….. I could eat mayo with nearly anything, with ketchup a close second. So I love to mix the two together for an old fashioned “Rose Marie” sauce that I serve with grilled shrimp. 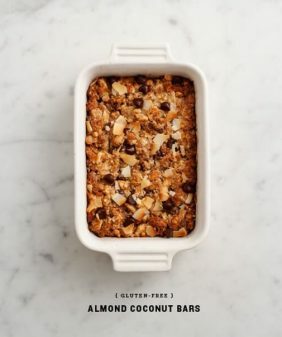 I have just discovered this site, and I love your recipes and your blog. Thanks! my favorite… mixing ketchup with sriracha… always! not a huge fan of mayo, but I like it mixed with chipotle… I sense a theme! thank you for your beautiful and inspiring work. I look forward to it every week! Ahhh the love and need of condiments and sauces in America…and I love it! I’ll never forget sitting at Bouchon restaurant in Yountville, CA eating pomme frittes with a rich aioli/mayonnaise and glass of crisp bubbly when my French friend blurts out “oh you Americans need a sauce with everything”! And isn’t that true and I’m proud of it! See below on how I love ketchup and mayo. Mayonnaise: *Growing up we would dip our asparagus or artichokes in straight mayonnaise (simple, yet a perfect combo). *I also make an amazing roasted mushroom dip for parties bc its a twist on the same old artichoke dip you see at every party. I roast mushrooms (my preference is cremini, shitake and oyster, but any will do), caramelize a sweet onion, mix 1/2 cup of mayo with grated gouda, triple cream cheese (St. Agur is what I use typically) and parmesan. Mix the mushrooms and onions with the mayonnaise/cheese mixture and chopped thyme (frozen spinach can also be added). Bake for 25 minutes on 350. Serve with warm crusty bread and a glass of Pinot Noir and you are set! *Another simple way to showcase mayonnaise is to mix mayo with tarragon, lemon and whole grain mustard. Serve with grilled shrimp or with a crab cake. You can also mix this into tuna or smoked salmon. Ketchup: *Perfect with fried okra…yes please! *A way to fancy up a basic ketchup to wow your friends and burger is to roast a peeled red apple and puree the apple with ketchup, sirancha and touch of smoked paprika. This will hold for 7 days and is also perfect on meat loaf, roasted potatoes and a great base for homemade BBQ sauce! What can be said about ketchup and mayo that hasn’t already been said? Well, for one, try ketchup outside of just food. Maybe rub it on your skin as a lotion. Try putting mayo under your eyes to reduce puffiness. Combine the two together, with a few raw eggs, for a morning smoothie after a hard workout. I love good mayo on every single sandwich burger and on fries… and while i like catsup on fries as well, it is necessary for fried shrimp. mayo with garlic and lemon on almost anything! I love ketchup mixed with spicy mustard! Then I dip my fries in it! Ketchup might just be my favorite condiment, period. I’ve been making a ton of sweet potato fries lately- smothered in ketchup! I’ve also been mixing a little sriracha and ketchup to add a little pick-me-up to fried eggs over hash…. Its addicting! I know it’s strange, but my Mom used to make me peanut butter and mayo sandwiches. Good if you add a bit of Sriracha, too. I rarely use ketchup & mayo just kind of weirds me out. That being said….I would love to try these & maybe change my condiment selections in the future. I like my ketchup and mayonnaise mixed! I’ve heard it’s a midwestern thing, but this southern girl loves it. ALL the forms of potato but most particularly sweet potato fries!! My favourite way to eat ketchup is in macaroni and cheese! I bet these ketchups would be awesome. For years I have used ketchup- either store-bought or home-made- as the base for a quickie “just got home and I can’t face cooking for just me” salad dressing on the nights when my sweetie isn’t there. They hate the dressing. Ketchup, balsamic vinegar, and whatever fresh herb I have- like basil or cilantro or mint. Maybe a splash of fresh lemon or lime juice. Fabulous! My favorite use of mayo is on toasted home-made anadama bread, under fresh sliced tomatoes out of the garden, which are sprinkled with a good lemony (as opposed to too salty) lemon-pepper. Mmmmmmmm. Love mayonnaise on a wrap! I love eating ketchup with eggs and spam fried rice! Thank you for the giveaway! 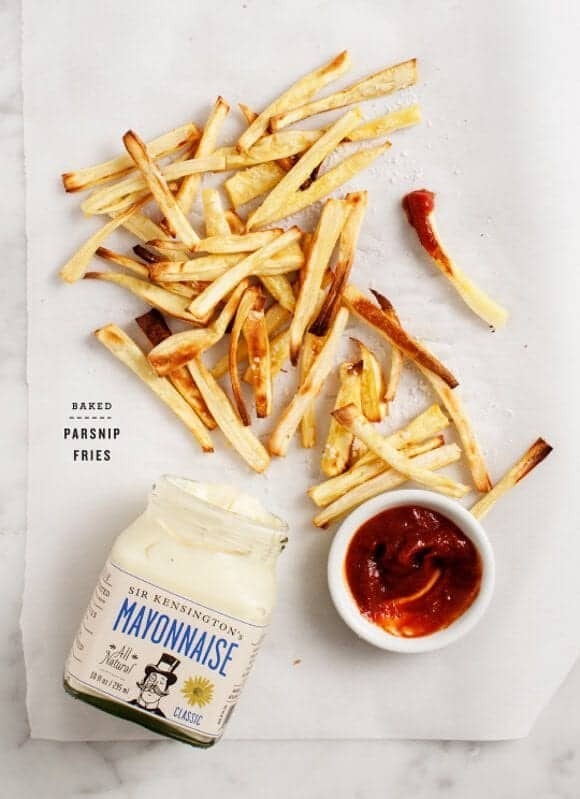 I love a using mayo as a base for dipping fries or making homemade mayo and using it on sandwiches. I’ll be honest, I’ll eat mayo on quiet a bit of stuff… Mayonnaise and cheese sandwiches, mayonnaise on french fries, mayonnaise salads, you name it. Ketchup however is strictly a love affair with fries. Mayo on cheeseburgers! Sooooo goooood. Ketchup? Hands down the meatloaf topper and crusty-top Mac and cheese. Mayo? Hands-up for chipotle mayo atop a burger! Love ketchup with fries, classic! mayo instead of butter on a grilled cheese – so crispy! I love Ketchup with Passion and Habanero Mustard. Yum Yum! I eat fries and vegetarian burgers with this. No bread or cheese required. It is to die for. 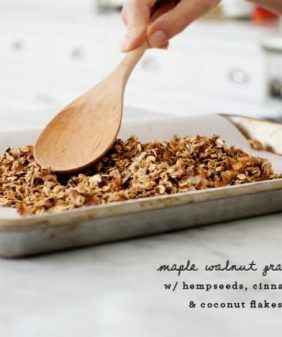 It is perfect for breakfast, lunch or dinner. Ketchup on fries, mayo on burgers! Mayo cut with sour cream or plain greek yogurt and lemon for aioli for an artichoke! Ketchup on a burger of course! Can’t wait to try these parsnip fries. As a lot of people, I love mixing ketchup and mayo together. If you add some chopped pickles, is even better – I dip anything in it, but with fries is especially good. Another favorite of mine is mixing mayo with yellow curry powder. Yum! mayo and ketchup combo for fries and just ketchup for burgers. their product looks delicious. would love to try it! I use ketchup on my fries, battered fish, meatloaf, eggs and tons of other things. I use mayo mostly on sandwiches and potato salad. Mayo always completes a great fast food burger! I love adding a little sriracha to my ketchup! I love ketchup on fries and sometimes with hashbrowns! I like ketchup best with (homemade) fries as well! french fries and ketchup, forever and ever. Hot dogs and corn dogs. I was shocked to find out on my first trip to Chicago that some people consider this sacrilegious, but without ketchup, I wouldn’t bother with hot dogs or corndogs. With ketchup, they are transformed to something beyond the sum of their parts! Ketchup: with french fries, of course! I actually LOVE ketchup as an alternative to hollandaise sauce for my poached eggs: the sweet tang of the ketchup goes great with a gooey poached egg and some sautéed spinach and onions on a toasted english muffin. YUM! My favorite mayo is chipotle mayo – on turkey burgers, maybe with some sweet potato fries? Ketchup on any burger, a pretty classic choice, is my favorite. Oh my goodness, Sir Kensington’s is my favorite ketchup. I received some from Santa the past two years, and of course went through it quickly. 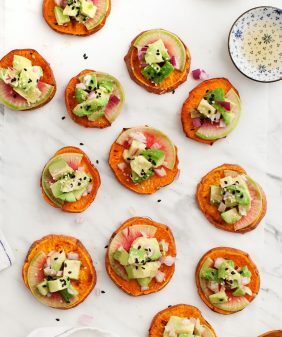 I love it on homemade sweet potato fries, or a Spanish tortilla! How yummy does these ketchups and mayos look? I’m pretty old fashioned when it comes to my ketchup, mostly fried things like fries, onion rings, etc… Especially since living in Chicago – ketchup is forbidden on hot dogs! Mayonnaise is a new love for me, so I’m experimenting with aiolis, and slaws. The combo of mayo & Ketchup slathered on a burger, like we are talking drowning in it is like my heaven. Oh, my goodness, that Sir Kensington packaging is gorgeous! And the condiments sound amazing, too – I just love it when someone nails both the packaging and the food. <3 My favourite way of using mayo is mixing it with a little garlic and some truffle oil, and then dipping sweet potato fries in it. YUMMY! Would LOVE to try these beauties. I am actually yet to try chipotle mayo of any kind, and feel it really is about time. I love mayonnaise on fries! I’ll have to test out these parsnip fries, they sound excellent! Ketchup is not one of my faces, but my partner has never met one she doesn’t like. She’s a ketchup & mayo mixer too. i love ketchup with fries, hotdogs, and burgers. I love adding lemon juice, hot sauce, and a few spices to mayonnaise to use as a great sauce for tacos! I also make homemade baked french fries very often and always enjoy them with ketchup! WOW, these look divine. French fries are one of my favorite foods, and I sometimes wonder if it’s just because they are the perfect ketchup-delivery system! I love fries with mayo every since I tried it in London! Ketchup and mayo in my burger of course. i loveeee ketchup on my fries, i can’t eat it without it. and the only time i really love mayo or veganaise when i’m being vegan is macaroni salad in the summer time.. amazing. egg & ketchup. No contest! I love ketchup on sweet potatoe fries and mayo in a aioli sauce for tuna patties! I love super cold ketchup and super hot crispy fries. Mayo and tuna just go together for me like peas and carrots. YUM!! i love mayo and ketchup for fries! can’t eat them without it! Sriracha in Mayonnaise to make it Spicy Mayo! I love mixing Sriracha in mayonnaise! Tastes great on a black bean burger. I love mayo in an avocado egg salad sandwich. I like to mix ketchup with a little bit of brown sugar and vinegar. A great sauce to baste meatloaf or even a roast with. Hmmm… steak tartare and frites allumettes with mayo. Delicious. Mayo is absolutely necessary for egg salad – and I love ketchup with hot sauce and fries…or even better, crispy hash browns. I like to mix mayo with sriracha for a spicy sauce for sushi! I love a mixture of ketchup and mayo for sweet potato fries! Clearly ketchup is best with grilled cheese! That chipotle mayo sounds delicious for dipping fries! Potatoes. Especially in french fried form. They’re just so good. Or mixed with sriracha on a tofu scramble. I’m a ketchup girl myself, and fries are definitely my favorite ketchup vehicle 🙂 yum!! These fries looks phenomenal – and your photos are gorgeous. Pinned! My favorite way to use ketchup is in homemade cocktail sauce! Adding in lemon juice and horseradish with some ground black pepper; it is so fresh and a great compliment to the old fashioned shrimp cocktail. Much better than bottled cocktail sauce. sweet potato fries with mayo is my favorite indulgence! I like dipping my sweet potato fries with a combination of ketchup and siracha. I actually just discovered Sir Kensington’s Spiced Ketchup a few months ago. Perfect with baked sweet potato fries and a burger! Hot Sicilian Sandwich with Ketchup! My family is known for this sandwich and ketchup is the perfect condiment. Basically it’s a grilled cheese sandwich on sourdough bread but add pepperoni and Canadian bacon inside. Also after spreading butter on the outside of the sandwich, sprinkle a good amount of Parmesan cheese. It creates a great crust and flavor. After grilling dip in ketchup! Yuuuum!!! My favorite use for ketchup is on a black bean burger. For fry-dipping I love garlic aioli or a spicy mayo. These sound great, would love to try them !! I love using mayonaise to make different aioli for sandwiches, and mixing ketchup and mayo to go with fries. I love ketchup with my baked sweet potato fries and with my vegan tamales with cactus in them. I know, I was raised eating ketchup on tamales. I do not eat dairy so no mayo please. I love Ketchup on fried potatoes and those parsnips look wonderful, maybe with a dip made of ketchup and Mayo. I like to eat mayo with french fries! Or to make a thousand island sauce for a portabella burger! I’m a sucker for some crispy salty french fries with both mayo and ketchup. Never tried mayo with your french fries? You are missing out. It’s sinfully good. I used to hate both condiments, but then I grew up and tried the good stuff. Now, I love both on the classic–french fries. Both mixed together on a veggie burger!! The only way I would eat mayo as a kid was with salmon off the BBQ and I still think that is the best way! I like to add a little ketchup to ratatouille. It’s my mother in law’s recipe, and it’s scrumptious. Sautéed peppers, eggplant, carrots, tomato sauce, onions, garlic, and cilantro. The ketchup brings all the flavors out somehow. Mayo is my FAV! It’s great plain as a fry dip, or mixed with a little brown mustard and curry powder. My husband can’t live without Ketchup – we love to mix it with mayo and curry as well for a super yum fry dip – something we learned from a German restaurant we frequent. We’ve been enjoying an addicting combination of sriracha and mayo, mixed in a nice spicy ratio, and kept in a squeeze bottle for ease of drizzling. We love it on everything savory, especially when paired with miso dressing or in sushi rolls. Yum! Ketchup on fries is the best! Mayo is pretty great, too, especially on sweet potato fries! Ketchup is best served with fries, and mayo is a must on BLT’s! With sweet potato fries and a turkey burger! Love it on a burger. Grilled, of course! I love mayonnaise in chicken salad with just a touch of sour cream. And nothing beats ketchup on sweet potato fries! I like mayo best on a bahn mi! A local Vietnamese place makes the best sandwich with a homemade mayo. So good! 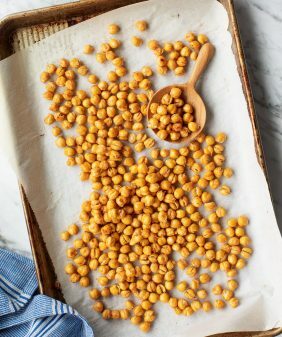 So yum… Mayo goes in my chickpea salad or to make “sauces” for wraps or nachos or sushi! Spicy ketchup? Now that goes on everything, eggs and tater tots especially. I think for this, I’d go for fry sauce- ketchup plus mayo. Looks delicious! What an awesome giveaway! Hmm my favorite way to enjoy mayo is chipotle mayo on shrimp tacos. Yummmmm. i love love love dipping fries in spicy ketchup or spicy mayo – usually i mix it with sriracha, but would love to try these versions!!! I love mayo with sweet potato fries! My favorite use for mayo is a fresh tomato sandwich on toasted rye with mayo, salt, and pepper.